This article was written on 11 May 2016, and is filed under S. Africa - Patrick. Pictured above is a recent outdoor prayer meeting at the Glory Power Center (GPC) in Nkavele, South Africa. In the center, on the ground, is Hlahl (Hla hla), a lady who had been suffering a life of darkness for 13 years. She was a devil worshipper. She received Jesus at this meeting and was touched by God the Holy Spirit – the greatest power! Her story is long and complicated. It was her job to put curses on people to keep them in poverty and block money from them. She has felt bad for what she has done but rejoices that she is now free from guilt and the past that has held her captive for so many years. GPM celebrates her new life in Christ! 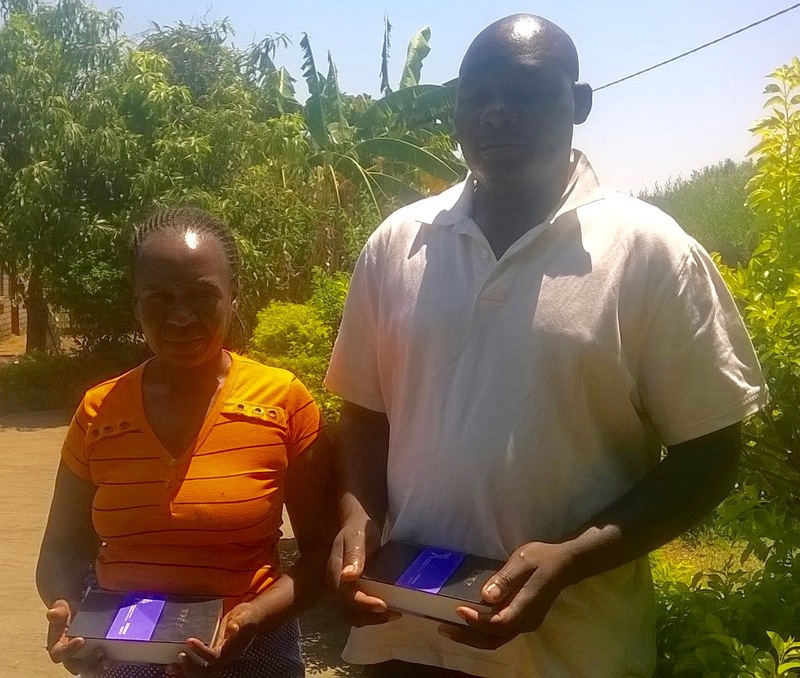 Meet Mr. & Mrs. Jajani, pictured with Bibles. She had been in severe pain in her entire body for a long time. She experienced God’s healing at a recent service at the GPC in Magona. They both then received Jesus as Lord and Savior! Pastor Patrick gave them Bibles recently. They are growing in their faith and are already having an impact in their community. Many others are coming to worship at GPC because of their testimony. Pray for the treasured lady, Rhulani, and the lovely children in the picture. She and her two children have suffered much pain and rejection. Rhulani has no parents to guide her, help her or offer parental advice. Without emotional support, she struggles with the demands of motherhood, employment and providing food and shelter for her family. Unfortunately, Rhulani endured a difficult, abusive marriage for more than seven years. 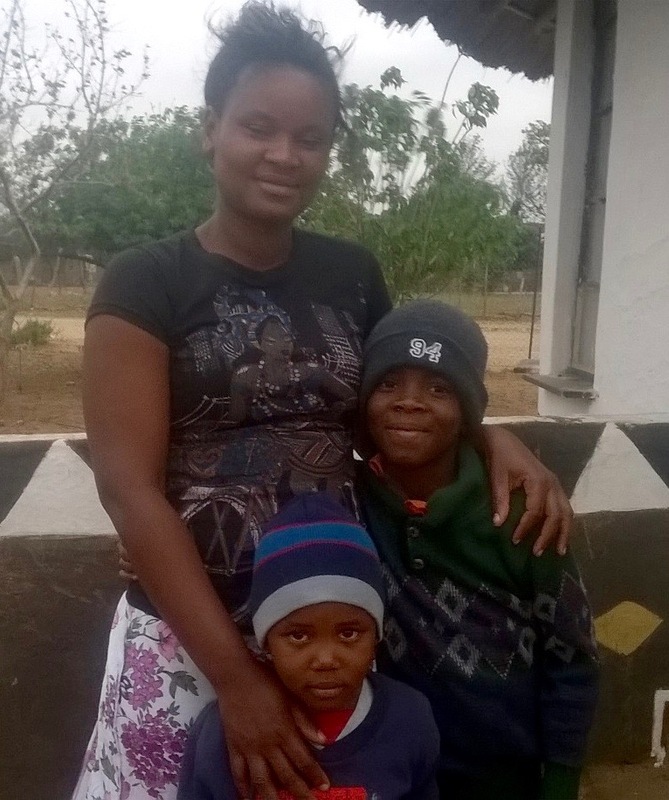 She is now out of that marriage and has been helped and encouraged by GPC in Magona. Until then the stress had been nearly unbearable and she wanted to die. Rhulani has been a full-time member of GPC for 1 year. They are helping her with a donation of R400, which is less than US $25 but very helpful to Rhulani. PLEASE HELP OTHERS GO FROM DARKNESS TO LIGHT AND ALSO HELP PROVIDE MORE BIBLES BY CLICKING HERE. 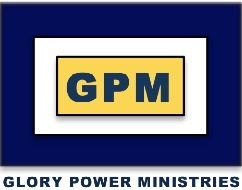 © 2016 GLORY POWER MINISTRIES. All Rights Reserved.